Rats are some of the most serious rodent pests in the world. They can carry life threatening diseases such as the Plague, Leptospirosis (Weils Disease), Salmonellosis, Rat Bite Fever, Lymphocytic Choriomeningitis and Murine typhus. They also carry parasites including Ring Worm, Mites, Nematodes, Tapeworms, Ticks and Fleas. They have the potential to damage growing crops and stored food on a huge scale. Not only do they consume food but rats are also responsible for much of the filth, droppings, hairs and urine, found in food stuff. This contamination is often difficult to remove and leads to the rejection of food for human consumption. Rats and mice often destroy much more than they consume because of their wasteful habit of discarding partially eaten food. They also cause structural damage by gnawing and burrowing. In particular they undermine foundations and destroy the fabric of the building. Structural drain sewers can be damaged by burrowing between joints in the surrounding earth and behind brick sewers. Sometimes this causes or contributes to the collapse of roads and pavements. Almost any commodity is susceptible to gnawing. Lead pipes and even metal sheathed cables can be gnawed through. 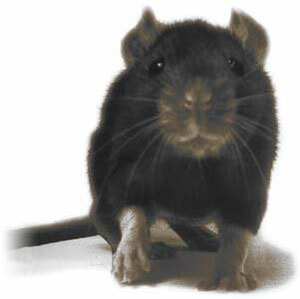 Rats frequently attack electrical wiring, resulting in electrical failures and fires. The presence of rodents in buildings is highly undesirable. The rat most commonly found in Britain is the Brown Rat (Rattus norvegicus). The Black Rat (Rattus rattus) is only likely to found in or near Ports. It is not generally appreciated that the common house mouse causes almost as much damage and constitutes as great a health hazard as the rat. A world-wide pest of buildings, it is distinguished from rats by smaller size and from young rats by the larger ears of the mouse, much longer tail and smaller head and feet relative to the body. The house mouse is grey above, light grey below, normally lives indoors, preferring dry nesting locations. It usually lives at ground level but can climb. Movement in search of food is very limited, nests often occurring within the food stuff itself and frequently made from shredded paper. Cereals are the preferred food. Mice have the potential to damage and contaminate stored food on a fairly large scale. This contamination is difficult to remove and can result in the rejection of food for human consumption. 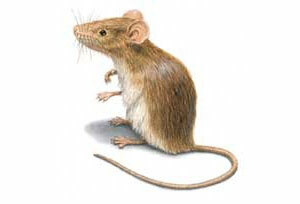 Mice often destroy much more food than they consume because of their wasteful habit of discarding partially eaten food. Mice may cause structural damage by gnawing almost anything, although damage caused by mice is much less severe than that found in an infestation of rats. It is best to seek professional help in eradicating an infestation of rats or mice as treatments can be carried out and advice given on entry points and proofing measures necessary to prevent further activity. Treatment will involve assessing the extent of the problem, laying baits or traps as necessary, checking the uptake of bait regularly and removing material at the end of the treatment. Contracts for preventative treatments are also available. The treatment is carried out using approved rodenticides.